New Delhi : The Delhi High Court on Friday set aside a Central government order restraining private companies from manufacturing and selling oxytocin drug. The court held that the "scarcity of the drug, or even a restricted availability can cause increase in maternal fatalities, during childbirth, impairing lives of thousands of innocent young mothers". A bench of Justices S. Ravindra Bhat and A.K. Chawla observed that the order was "unreasonable and arbitrary" and did not seem to be based on any scientific study. The court also observed that oxytocin was an essential life saving drug. "...there was no scientific basis, and insufficient data to support the conclusion that the drugs existing availability or manner of distribution posed a risk to human life (a requirement of Section 26A)," the court said..
"The weighing of options or balancing act, to bring in a suitable measure geared to achieve the same objective in a different, or drastic manner was not undertaken." "It would not be out of context here to say that the welfare of the citizen and the interests of the public are paramount, in any decision that the state takes; in this case, the absence of such weighing or balancing process, and the choosing of the most drastic option renders the decision to issue the impugned notification both arbitrary and unreasonable," the bench said. "For these reasons, this court is of the opinion that the conclusions recorded by this court - to quote the Supreme Court a" do not transgress the arena of permissible judicial review... enough for us to say that the present case is on the right side of any line that could reasonably be drawn." The court heard the pleas of Mylan Laboratories' subsidiary BGP Products Operations GmbH, Neon Laboratories and the All India Drug Action Network (AIDAN), an NGO, challenging the government decision. 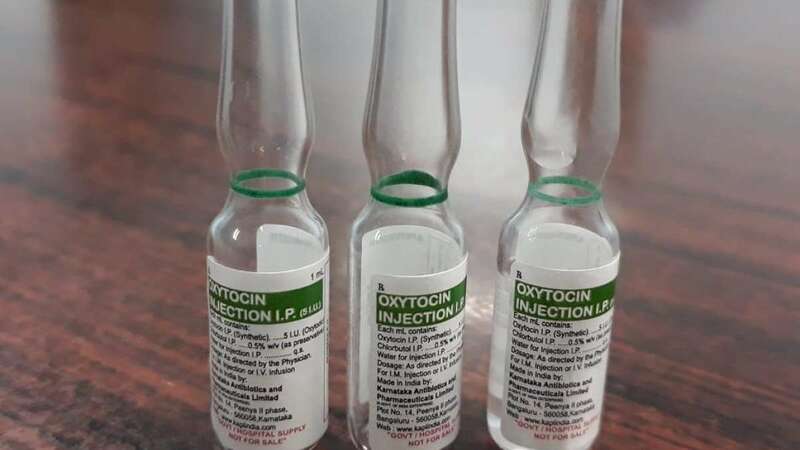 Earlier this year, the government had restricted the manufacture of oxytocin formulations for domestic use to public sector only. The state-run Karnataka Antibiotics and Pharmaceuticals Ltd (KAPL) was solely allowed to produce the drug for domestic use. The court said: "The impugned notification and preceding decision making process placed far greater importance on the need to prohibit availability of oxytocin from what was perceived to be widespread veterinary misuse: clearly the trigger for the move was the Himachal Pradesh High Court judgment, which did not notice that oxytocin was an essential drug."